I tell patients it’s my job to do something once and do it right. When he was about 10-12 years old, Dr. Stuttgen experienced debilitating migraines every day of his life. He tried the medical route, which included having CT scans and taking numerous medications. Nothing seemed to help, so his parents finally took him to see a chiropractor. Ever since that time, he’s gotten weekly adjustments and hasn’t had a migraine since. 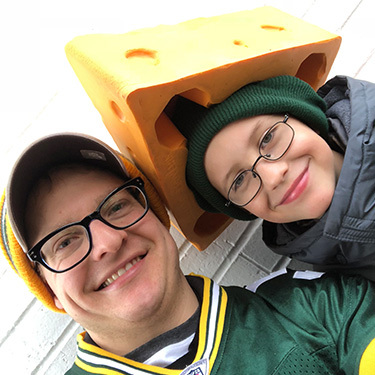 After earning a Bachelor of Science in Kinesiology from the University of Wisconsin-Eau Claire, Dr. Stuttgen thought about what he wanted to do with his life. His keen interest in the human body coupled with a desire to help people compelled him to become a chiropractor, a profession that made sense to him. “I’ve always been a healthy person and want to help people be as healthy as they can without putting damaging drugs into their body.” That’s when he decided to enroll in chiropractic college. In 2015, Dr. Stuttgen graduated from Northwestern Health Sciences University in Bloomington, Minnesota. It was an enjoyable and memorable experience for him. In his Methods class, he was able to learn firsthand from Dr. Thomas Bergmann, the chiropractor who wrote the book on how to adjust still used around the world, Chiropractic Technique: Principles and Procedures. The knowledge and expertise he acquired while studying to become a chiropractor has allowed him to have success in adjusting his patients. Always committed to patient education, Dr. Stuttgen communicates that chiropractic is the way to go in terms of achieving and maintaining optimal health at Align Wellness Center. Most of his patients sign up for maintenance wellness plans as they recognize that chiropractic is a healthy lifestyle habit just like eating right and exercising daily. Dr. Stuttgen grew up about 30 minutes away from Wausau. “I wanted to give back to a community that helped make me who I am.” In his free time, he’s passionate about fitness. His 6 a.m. workouts include running and lifting weights. If you’d like to live a healthier life, contact Align Wellness Center to book an appointment with Dr. Stuttgen!